This page is all about YOU…my loyal clients! 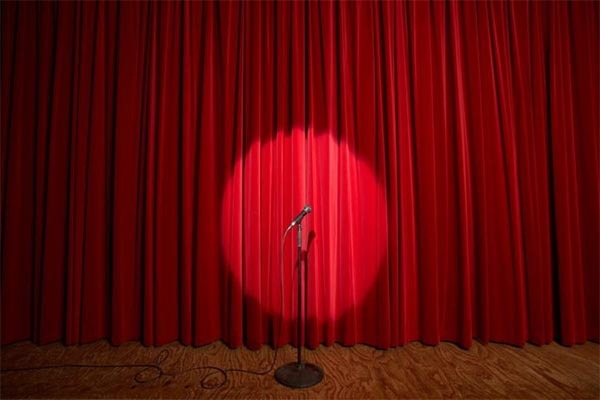 Here is your own open mic to share your tesTEEmomial about working with Travel & Events Extraordinaire. Coming to the mic next is …YOU!!!! 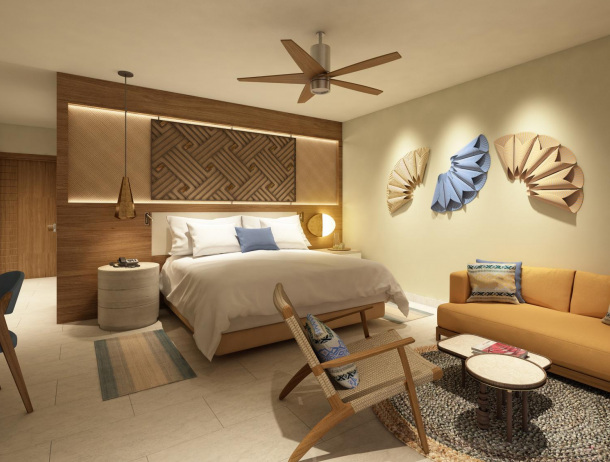 Best Honeymoon at Brand New Resort in Cancun Mexico on Nov 6, 2018! We can’t say enough of the 1st Class Service we received from Anne Smith of Travel & Events Extraordinaire. Her expertise was exquisite to say the least! HER ATTENTION TO PERSONAL DETAILS WAS IMPECCABLE. Everything was perfect. We needed to be babysat on leaving the country and she patiently dealt with us with a diligence that only an experienced professional could display. My wife is very, very, very particular and Anne knocked it out of the ballpark in a Grand Slam manner which even blew her away! The whole trip was 7 stars out of 5. No joke. No exaggeration! We are so thankful we chose Anne to fully handle our All Inclusive Honeymoon according to our budget! Can’t wait to use her when we plan to go to Israel and other future trips in 2019 and beyond. Everything matters when you plan with Anne! Excellence, Elegance, Experience, Enjoyable, Enlightening, and Exciting! Thank You So Much for loving what you do and allowing us to experience your passion to make our Honeymoon an everlasting memory! You blessed and highly favored us! Again Thanks! Ms. Smith provided great advice when we were trying to select a location for our honeymoon. 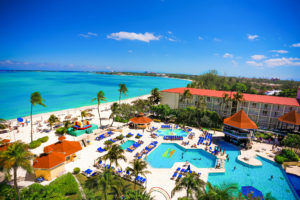 When we finally settled on a destination and hotel (Bahamas) she warned us that the hotel we initially chose was not actually on the beach (beach access was very important to us and we truly appreciated this info). She was very accessible and supportive when our flight got rerouted. She also checked in with us periodically via the app messenger to make sure everything was OK. It’s obvious she is passionate about her work and she truly cares about her clients. I highly recommend her services for your next vacation. Bringing me in a day earlier so I could golf in Ft Lauderdale was great!!! We always celebrate three dates during the cruise: my wife’s birthday, our anniversary, and Mom’s birthday and, this year, Mom turned 81. She enjoyed the trip and loved the meals on the ship. 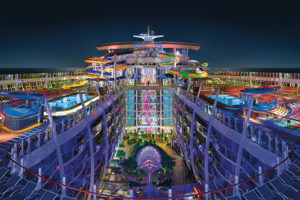 She has also moved up a level with Royal Caribbean, so we have to keep up with her! I didn’t know we were booked on the President’s Cruise, so all the special parties and special entertainment were an additional treat, plus the in-room gifts from your company were an added bonus as well. Thanks again, and I can’t wait until we plan our next trip!!!!!! 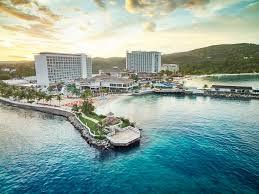 Yesterday, I arrived in Jamaica with my sister (best friend for over 20 years). We were amazed by the care and attention my travel planner and friend Anne put into making this trip so very special. I literally felt like a Queen. She told me it was going to be VIP but 😲. She’s serious y’all. I highly recommend her. I won’t spoil it for you but if you want an extraordinary experience she’s your person. My best friend had to send her an email immediately thanking her. She took great care of the Flanagan family trip last year as well. Thank you so much Anne! The resort is beautiful and I just want to say Thank-you; your attention to details is beyond excellent. I hope you enjoy your vacation and I will definitely be in touch for future trips. Anne is the most amazing person who truly cares for her client’s and their travel experiences. Recently she helped me plan a two week trip to the Pacific northwest, booking a cruise and providing expert travel advice to ensure we had a wonderful, smooth experience. She helped me navigate the uncertainties of an impending hurricane and made sure I was prepared for any emergency. All went smooth, and I give full credit to Anne and her expertise, communication skills, and caring personality. Thanks again, Anne, for another “out-of-the-ballpark” trip!! Was just thinking about you today and the wonderful vacation you planned for us. I am still dreaming about Japan and the time we spent on the cruise. We look forward to doing another vacation with you in the near future. Vacation was great. The Disney suite was great. Lots of room two bathrooms. We all had a fantastic time. Thank you again so much for putting it together. And yes I would love to right a testimonial. Once again Anne Smith, at Travel & Events Extraordinaire ensured our travel experience was phenomenal and smooth sailing from beginning to end. Travel arrangements were convenient and Cancun was glorious. Anne knows my taste and always offers top notch suggestions. Anne assured me she was just a phone call or email away. This put me at ease. I trust Anne and appreciate her suggestions, perfection and thorough responses. Thank you so much Anne! You are the best!! I’m ready to book my next vacation. We gave Anne a bit of a challenge; find a place where we can enjoy a wonderful resort AND see whales. She truly went above and beyond in seeing that we had the vacation of our dreams in Puerto Vallarta, Mexico. The resort was beautiful, with excellent service throughout, and the setting was just perfect. And, we saw WHALES. She found us an excursion that uses small boats limited to 10 passengers per trip, so we were able to get up really close. Truly an experience of a lifetime. I will always use Anne to book my travel because she truly thinks of everything! Thank you very much for the lovely snack tray you sent to our room. That was so sweet – and yummy :)! We both appreciated the kind gesture. The trip was very nice. 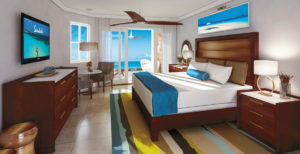 Aruba is a beautiful island and the Hyatt Regency was a great place to stay. Thanks again for all your help, I’ll be glad to pass your name along to anyone I know that is looking to travel. Our vacation to Unico 20’ 87’ was spectacular! We were treated like Kings and Queens! The local host took care of our every need and made sure all of our needs were met. The room was set up with a piñata in honor of my husbands birthday and we had a special message left for us as well. The resort was very plush from the spa to the pool area just a nice layout. We had an ocean front room and we were super pleased with the room we were in. Last but certainly not least I would like to thank our travel agent Anne Smith from @teetravels. Anne was very knowledgeable and went out of her way to ensure everything was set up perfectly. Thanks for all your hard work! We look forward to booking our next trip with you! The cruise was wonderful and we so appreciated the chocolate covered strawberries awaiting us in our rooms. That was very sweet of you!! All went well on the cruise & I have no complaints. We had a ball! I will refer and consider your services for future cruises. Thank you so much for your services!! Keep doing what you love! What can I say about Travel & Events Extraordinaire, aka TEE? The Best, The Greatest, The Most Superb, personal travel company in the world? That and a whole lot more! My co-worker introduced my husband and I to Anne in 2016 and our travel experiences haven’t been the same since. Anne makes every experience wonderful and personal. 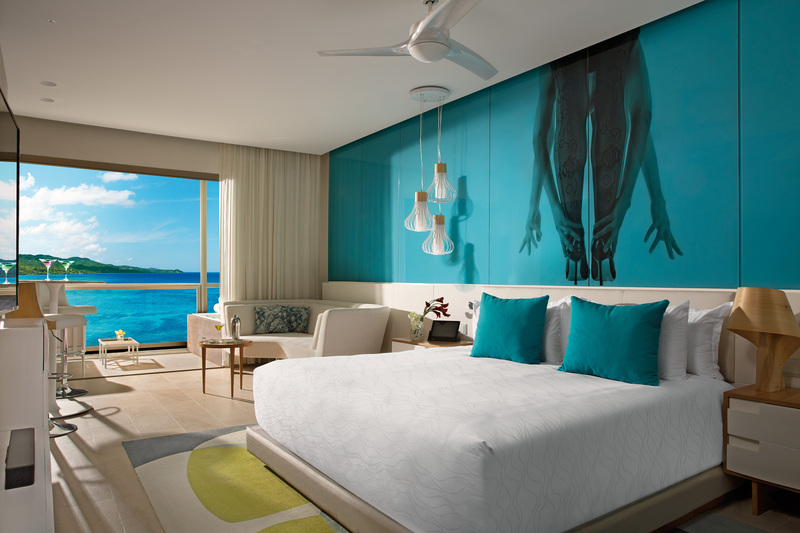 Anne introduced us to the Sandals resort brand and we are hooked. 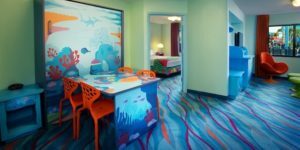 She asked detail questions about our preferences and recommended the Best room/accommodations ever! 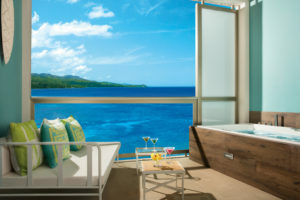 Who knew Caribbean Beachfront Walkout Grande Luxe Club Level Room w/ Tranquility Soaking Tub at Sandals Negril would be our second home? Before TEE, we used this world renowned travel agency for our honeymoon and they did not check on us; they just processed us and that was it. No follow-up, no surprises in the room, nothing. But Anne, she stays in contact with us during our trips and if there are any issues, she is immediately on it. Anne has a hands-on personal touch that makes all the difference in our stay. She reaches out to us instead of us trying to get her. She is always available. She uses technology wisely to make connection convenient and fast. She is always working on our behalf. TEE feels like family. We will use Travel & Events Extraordinaire for all our travels needs!! The Anthem of the Sea was a pleasant experience for us that was enhanced by your excellent service and gratuities that awaited us on board. We would without hesitation recommend your services to our family and friends. The ship had so many places for entertainment and activities that we were unable to see them all and do the shore excursions as well. Anne plans all of our travel because she always goes above and beyond and adds that special personal touch. We have been using her company for years. I introduced one of my coworkers to her a couple of years ago and she still uses her and thanks me all the time for bringing Anne into her life. Travel with Anne and your trips will be memorable in a good way. ?❤? I always love curating travel for you, Tina. It is my pleasure and I appreciate your testimonial and endorsement! Thank you! Anne is the bomb!!! We have benefited so much from her professional service and advice. Anne thinks ahead so I don’t have to! She knows her business, and takes care of every detail for us. She has turned my family from stay-at-homers to multi-vacationers! She took the stress off, found the best options for me, and communicated everything I needed to know clearly and expertly. She is my go-to travel professional and now friend! I trust her advice implicitly. If you want an extraordinary vacation, trust Anne! Our lives are enriched because of her expertise and the wonderful travel experiences we’ve had. 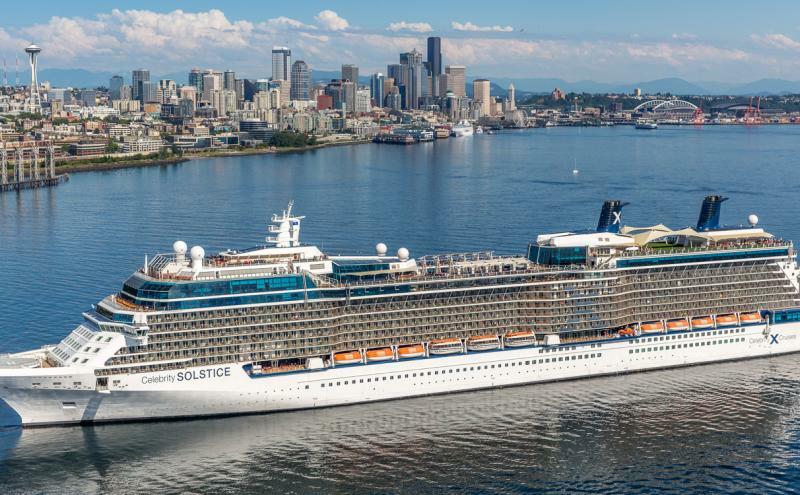 It was a good cruise , the Pacific Northwest is beautiful…especially spending more time in Seattle and two days in San Francisco as well as the beauty of Victoria…The food at the 3 restaurants we bought with the package were excellent and you felt like you were at a 4 or 5 star restaurant. My wife ordered room service and they were prompt and on time. And the food was good and hot! There were no problems with the luggage valet and our bags were sent directly on to Chicago. It took an hour to come to baggage claim but that’s a Midway airport thing. 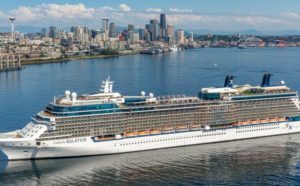 A cruise to the Mediterranean is next – my wife tried to sign up on the cruise but I told her “you know we only book travel thru Travel & Events Extraordinaire!” Victoria is one of the most beautifully scenic cities I have ever been in. We want to go back. We took two great tours…on a bus and a boat! The Holiday Inn is well positioned Downtown we could walk to most places. The Duck tour on land and sea in Seattle was very cool and would recommend but on a much warmer day–it was so cold with the open air windows! Anne, I thoroughly enjoyed this Pacific Northwest cruise! It was completely different than our normal Caribbean itineraries. 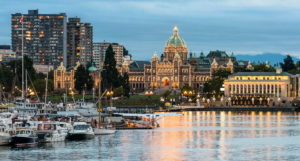 We loved most of the cities we visited and thought Victoria, BC was the best. Thank you for the birthday acknowledgements in our cabin. They were delicious. I appreciate you taking great care of me again. I look forward to our next cruise. 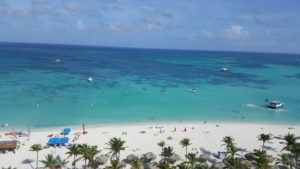 The trip to Aruba was wonderful! Anne, our travel agent didn’t just plan the trip but went the extra mile to make sure we enjoyed every moment of our stay. She hung out with us once or twice, couldn’t ask for a better person / travel agent….! I absolutely would return to Aruba! It was magical. I would travel anywhere that Anne Smith suggests! She is an awesome travel agent! Yes, everyone was friendly and the atmosphere was great! I have traveled to Germany, Italy and throughout the Caribbean. I think Aruba was one of the nicest, most friendliest Island I have ever been to. I was impressed with the friendliness and gentleness of the people who work and live there. Yes indeed, I would go back to Aruba in a New York minute. Anne, wanted to provide an update upon our arrival. This hotel is splendid! We’re so glad we chose this property over the others due to the amenities and location. Very relaxing and peaceful. Our trip has just begun but we already feel the great vibes all around. Thanks for the recommendation and Virtuoso amenities! It was really great vacation in Bermuda. My husband and I enjoyed the beautiful island so much and appreciated your kind assisting as well. We look forward to traveling with your agency again in the future. The vacation was excellent! We loved the Unico 20.87. resort and it gave us some much needed time to reconnect with each other. The resort is a great place. We did jet skiing and parasailing, and we also went to Coco Bongo in Playa Del Carmen. The room service was the best we ever had and all the staff were extremely helpful and attentive. My wow moment would have to be the decor in the room as it was simply gorgeous and I’m sure William’s wow moment I would say for sure was the spa. We witnessed sea turtles giving birth on the beach that was a awesome experience. I just wanted to thank you for another great vacation! We are pleased to offer a grand “thank you” for your arrangement of our trip to Maui. What a beautiful island! It is a truly a Garden of Eden. It was amazing to be greeted with sunshine every day. Then, there was the courtesy and hospitality offered from the people both inside and outside of the hotel. It was both a surprise and pleasure to be greeted at the airport’s gate with garlands of leis. What can I say about the grandeur of our, the Hyatt Regency Maui? Our room was perfect as we could see the ocean every day of our stay. The staff and service offered at the Hyatt was superb. It was nice that our stay included a daily buffet breakfast. We also had dinner there during one night of our stay. The chef mixed up our order, but came out to greet us with an gracious apology. He quickly provided us with a replacement of our menu. We arranged an evening performance of the “Drums of the Pacific”. It is a luau offered at the hotel. It was interesting as the performance provided a history of the people of Maui, as well as many of its traditions, like the Hula. Later during our stay, we arranged for a jungle tour of the island. It was so convenient because tour arrangements can be made at the hotel. We saw waterfalls and were introduced to much of the striking flora to be found on Maui. Again, thank you again for your patience and diligence in making our stay on Maui so impressive and memorable. We recently received an invitation to a wedding back East. We’ll probably enlist your services to arrange travel to this event in the fall. Anne was great. Every step of the way on our vacation, she was there to help if we had any concerns. She really wants to insure that her clients are having a great time with no problems. She helped to insure we could communicate by assisting me in installing an app on my phone to stay in touch if we had in problems. It definitely came handy as she was there to help. She is also very friendly and patient in assisting her clients. Our river cruise was wonderful! It was all that Viking promises. The food was delicious and plentiful. The staff were helpful, delightful and caring. The tour guides were outstanding. We enjoyed our time in Paris though we needed more than three days to see and do all we would like to have done. The Viking host at the hotel, Michael, was helpful. The cabaret was fun and the walking tour gave us a wonderful opportunity to spend time in a neighborhood. As for your service, we could not have asked for more! We were pleased that you responded quickly and fully to all of our requests for more information and the many concerns we raised. The package you put together for us was perfect, including the non-stop flight. One passenger who lives in Northern Virginia just minutes from Dulles Airport was surprised to learn that we had a nonstop flight from Dulles to Paris. The Viking travel agent that he worked with put him on a flight to Canada and then to Paris. He was very angry about that. I was especially thankful for your patience for I know we called you often. We will gladly recommend your service to friends who may be looking for an extraordinary travel agent who will go the extra distance to make sure her clients have a memorable trip. Please feel free to use our comments in your promotional materials. Roman and Suzanne, I was honored to help you create these amazing memories as you both begin your matrimonial journey! Thank you both for entrusting Travel and Events Extraordinaire to send you off on your honeymoon! So much love was on display! Anyone who watches this video can see you had an amazing time and if they want to experience the same extraordinary service you received, they can reach me, Anne Smith, your Romance Travel Specialist at asmith@teetravels.com or (443) 250-2666. I love what I do because romance travel speads love throughout the world impacting cultures in extraordinary ways. Mashi Danki! Jodi said… Anne was so great to work with in planning our honeymoon! We had so much going on with the wedding planning, selling a home, etc that adding the honeymoon to our list, especially wanting to go somewhere we had not been too, was more than we wanted. It was an easy, seamless feel and everything was great. I can ‘t tell you how wonderful it is to not have the worry of anything when traveling. She kept in touch, she made sure if there were any travel alerts, we were aware and she surprised us by having the resort deck out our suite in beautiful little flowers / towel arrangements / a note from the resort staff/ champagne and fruit platter — it was just perfect. 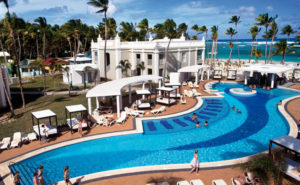 The RIU Palace Bavaro was a wonderful recommendation and it was truly ALL INCLUSIVE. Thank you Anne for making our honeymoon trip so easy!!! Travel & Events Extraordinaire responded with the following comments: It is always such an honor to be asked to plan such a memorable milestone marker at the start of a marriage. 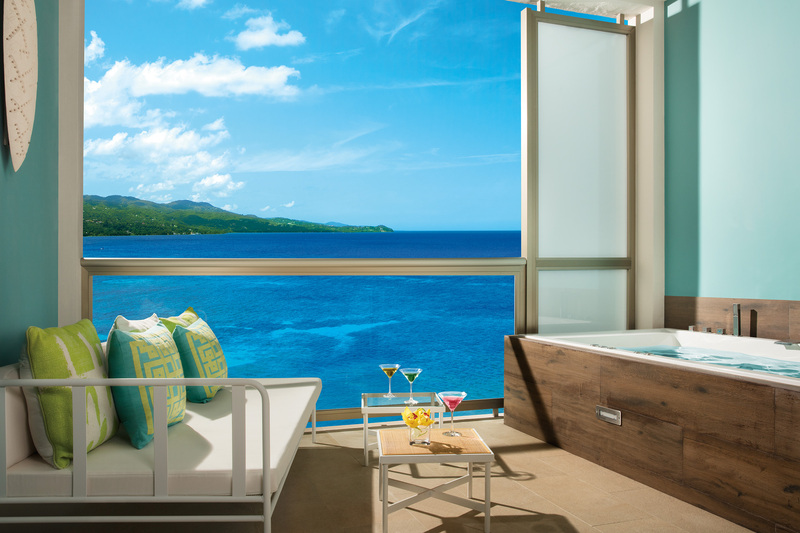 I took great pride and care to ensure you were both well taken care of and pampered to enjoy a stress-free honeymoon. I was blessed to have the opportunity to share in your special celebration and I look forward to working with you on future anniversary vacations to keep the embers and flames lit. My best to you both. Anne, as always, you rock and I love you soooooo much! Thank you, sister! Your attention to detail and your impeccable customer service blesses my spirit! Again, thanks for being such a blessing in all you do for me and all your clients! I would be happy to write a tesTEEmonial for you. 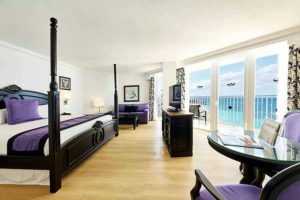 Our trip to Moon Palace Jamaica Grande was very much to our liking and I will definitely contact you again for my next trip. My husband and I just returned from a fabulous vacation in the Dominican Republic and can’t thank Anne Smith enough for helping us plan our trip. Anne was excellent to work with. She was patient, professional, and very attentive. Not only was Anne able to secure a great price for us, she also provided us with travel tips we would not have thought about such as paying the tourist fee in advance which got us through the airport faster, and purchasing early bird check-in for our Southwest flight so we wouldn’t have to worry about securing a good seat while enjoying our time on the beach. When a hurricane passed through the island days before our arrival, Anne was on top of things checking the weather and communicating with the hotel to make sure they did not have any damages. Once we were on vacation, we found that she had taken care of everything we requested in advance and she even checked in on us several times during the trip to make sure everything was going well. She provided us with great peace of mind because we knew if anything were to come up, she would be there for us. I would highly recommend planning your vacation with Anne! Hi Anne, we did have a fantastic time! We were at Breezes Bahamas 2 years ago so we knew what to expect. The staff there, especially the “wait staff,” was superb. 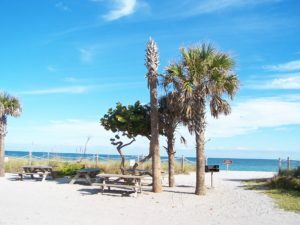 The beach was gorgeous and the pools were clean…and those things were very important to us! Our flights with Southwest were fine–no problems. We highly recommend Stuarts’ Cove Dive Shop for shark dives and snuba excursions. Again, thank you for your help. We wish to send you a sincere “thank you” for all of your assistance planning our recent trip to Punta Cana! Your professionalism and efficiency was comforting and reassuring for us since we are not seasoned travelers. You were patience and thorough with all of the details regarding our trip and we didn’t have to think of a thing. The fact that every detail was covered (even the special gift for my birthday) really allowed us to relax and enjoy the amazing hotel. The hotel you choose was absolutely beautiful. The staff was very attentive & the food was amazing. I can’t stop raving to people about how much fun Andrew and I had on this trip. I can wait to do it again! You will come highly recommended to others and deservedly so! 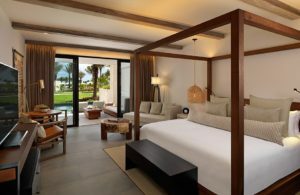 *****I give Meliá Caribe Tropical All Inclusive Beach & Golf Resort 5 stars***** Thank you so much for all you help! I want to give a big shout out to Travel & Events Extraordinaire!!! The owner, Anne Smith, is a true professional and know that you can never go wrong with her amazing service. Anne runs a top notch travel business from start to finish. She is very experienced and knowledgeable in the current travel trends and always puts her customers first. I have had the pleasure of using her services for a family cruise last year and happy to say that I set sail on another cruise in a few months which was also booked through her company. My experience with working with her agency has been nothing but the best and I appreciate the fact that Anne has my best interests at heart. Her professionalism always goes above and beyond what you expect and she makes it a point to make sure that you have a travel experience that you will remember for a life time. I have recommended her services to family and friends and will continue to support her business for years to come. If you are looking for a vacation that is filled with fun, excitement, adventure, and value than Travel & Events Extraordinaire is the business that you want for your personal travel needs. The cruise ship was really amazing! I really loved Eli, the Cruise Director and if there was a way to find out what cruises he would be the director on, that would be a great reason enough for me to go. I really enjoyed his personality and energy. The food overall was good, but I my expectations were a big higher on the quality of it based on hearing stories from my family members. Having the ability to eat food whenever I want, but the food for the most part being bland isn’t that tempting, lol. The Chef’s Kitchen was the truly the bomb.com. We felt like superstars. Sat across from a couple that cruises 2-3x’s a year and were celebrating their 30th wedding anniversary. The food was unique, tasty, and exquisite. Would definitely do that again. Terrence and I went to one of the shows that the Cruise Director did with couples which was really fun, but that was the only show we went to. I would make it a point to try and attend more the next time we go. The cabin size was good for the two of us, and we really appreciated how you decorated it. That was a beautiful surprise. We caught two movies outside on the huge screen which was really nice, but we learned we really have to get their early to get a good comfortable spot. We also went to a Mexican fiesta themed night where I danced my tail off, and was gettin’ it better that the “instructors”, lol. Folks started asking me how to do the moves because they weren’t that good at explaining the steps, lol. Overall, I’d give the experience a B and would like to do one with the kids in the future, but would definitely enjoy another one with just Terrence and I as well. I want to thank Anne Smith of Travel & Events Extraordinaire for planning a wonderful cruise vacation this past month for myself, husband, mother-in-law and her friend. We were celebrating three September birthdays, plus the 38th wedding anniversary of my husband and I. She gave us plenty of cruise options to choose from, along with any corresponding available specials. 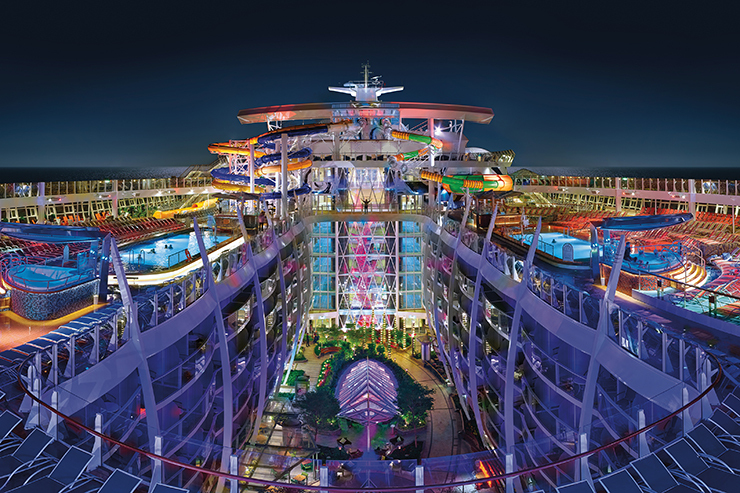 We finally decided on Royal Caribbean’s Independence of the Seas 7-day Eastern Caribbean sailing (9/26-10/3). She provided us with travel insurance options, and kept us up-to-date with all of the needed online check-ins. A month before departure, we received an in-depth checklist from Anne listing everything you don’t want to forget—it was amazing! She also gave information on how not to get charged outrageous prices from your cell phone company while on the cruise and on land. Unfortunately, I neglected to read this until the day of departure, so I missed out on a lot of things that I needed to pack, as well as forgetting to contact our cell phone carrier about international calls/text. I was on the phone with Anne at the airport while she walked me through with changing my settings so I wouldn’t be charged. I definitely learned my lesson about using that checklist now! We had balcony cabins, and when we arrived, my mother-in-law’s and her friend’s cabin door had a Happy Birthday sign on it, and when they opened the door, the entire cabin was decorated in a festive motif! It was very nice! When we got to our cabin, there was no sign, so we opened our door and our cabin was decorated very nicely also. Both rooms had a card saying compliments of Tee Travels so we knew where the decorations came from. I called Anne to thank her and she asked how we like the sign…I said what sign? She said there was supposed to be a Happy Anniversary sign on our door. Told her nope; she said she’d take care of it. Next day, we had the sign on the door! At our seated dinner each evening, Anne had arranged for each of us to receive a special birthday and anniversary dessert. It was nice to have our servers and dining room managers come to our table each night to sing to us! Towards the end of the cruise, Hurricane Joaquin was threatening our trip home. Anne kept us updated on the path via text. On the last night, my mother-in-law’s friend had arranged to use a luggage valet service provided by the cruise line to take her luggage directly to the airport from the ship so she didn’t have to schlep it around. Once we got to the airport, we all went to our flights and made it home safely. 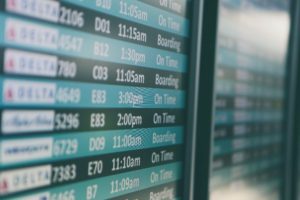 However, that afternoon, we received a call from her friend that her luggage wasn’t at the airport and Southwest had no record of receiving her luggage. 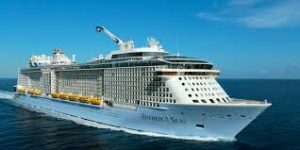 We contacted Anne to inform her of the situation and, since it was Sunday, she contacted Royal Caribbean the next day to find out what happened. There was a mix-up between RC and Southwest; therefore, her luggage was still at the port. Anne was on the phone with RC & Southwest for quite some time figuring out what happened. She finally arranged through RC to fly the luggage to the friend’s home the next day, which she received with everything still in the luggage. She also arranged to have the $20.00 luggage valet service fee refunded to the friend–now that’s customer service! Anne is always very thorough, and we never have to worry about things falling through the cracks. This is our sixth time using her services, and each time has been a pleasure! As a matter of fact, plans are in the works for a special 40th anniversary cruise in 2017 with our whole extended family! I would recommend Anne Smith of Travel & Events Extraordinaire for any of your travel needs as an individual, couple or group. My travel experiences with Anne Smith have been so positive that my husband and I enlisted her services again for our 25th anniversary trip. 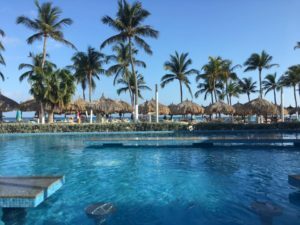 Anne suggested an all-inclusive vacation, which we had never done before; she let us know the pros and cons of an all-inclusive and encouraged us to try one. We had a very limited budget and weren’t sure if we would be able to afford a vacation to our preferred location – Mexico. 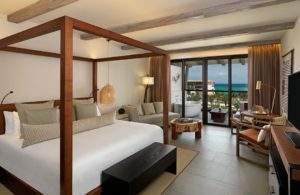 Anne was able to provide us with not one but several options within our price range and booked us at the Ocean Maya Royale in Playa del Carmen, Mexico. The resort was small but beautiful; the food was good, and the service was outstanding. Before we left for our trip, Anne provided us with all the information we would need to enjoy our trip, from currency exchange rates to local attractions and gave us etiquette tips for being in a foreign country. We were able to use all of this information to have a safe and stress-free trip. We emailed and texted Anne whenever we had any questions; she always answered us promptly and continued to give us suggestions on things we should experience while we were in Mexico. Anne’s assistance gave my husband and I reassurance that she could take care of anything that might come up and this made us relax all the more. We will continue to use Anne Smith as our travel agent; we are not adventuresome travelers but Anne has helped us to expand our horizons! I have experienced many business and leisure trips that were planned by Anne. She has always been right on point and very meticulous with her attention to details. During each of our trips, Anne has been able to build business relationships with key personnel at the locations which has assisted her and her clients for future visits. The major aspect that sets Anne apart in this industry is the passion that she has to make each of her client’s trip one to remember. I say all of this not because I am her spouse but because I am a seasoned traveler that has been blessed to work and travel extensively with Anne. My most memorable experience was our 20th anniversary vow renewal that Anne planned. Anne and I Retied the Knot at the Sandals Grande Riviera and enjoyed a week celebrating in Ocho Rios, Jamaica in December 2013. Everything from the Romeo & Juliet suite to the sunset on the beach ceremony was outstanding. 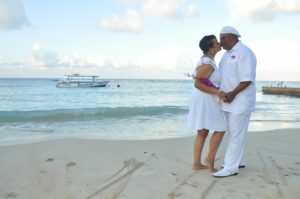 Anne worked with the wedding coordinators at Sandals to orchestrate everything. Now grant it, I was a part of the decision making process but it was Anne, the seasoned travel and events pro that brought it all together. The addition of the two butlers that took care of us was amazing! Our vow renewal was and is a moment to remember. Thank you, Anne! My husband and I used Anne Smith to take our very first cruise. She arranged for us to take a Bahamas cruise that launched from New York, which saved us a lot of money; we really appreciated that. 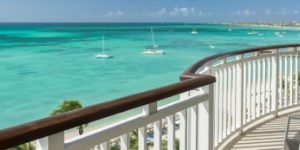 Since Anne had been to the Bahamas before, she was able to direct us to the best excursions and, as a result, we had a fabulous first cruise. We were so impressed by her services that we used her again to take an Alaskan cruise, the best vacation of my life! Even though Anne had not been to Alaska before, she researched and was able to direct us again to interesting and affordable excursions. 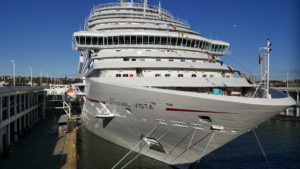 All of the travel arrangements went off without a hitch for both cruises and we were able to call Anne at any time about any questions that we had. As a former residential services director serving people with developmental disabilities, some of the people in our program had the means to take vacations and I decided to see if Anne would be interested in making travel arrangements for them. She arranged for three separate Disney World trips for my staff and five of the people in my program. A great deal of communication between Anne’s team and my staff had to take place for these trips to be successful and all staff involved in the trips reported that Anne handled every detail of the trips for them and communicated with them regularly throughout the trips, taking every call made to her. Even when a few problems arose because of some special needs, Anne was able to take care of them and my staff were so impressed with Anne that one of them used her for her own personal vacation. I highly recommend Anne Smith as a travel agent; I will be using her from here on out! I would like to take a moment to send some words of gratitude to Anne Smith and Travel & Events Extraordinaire. 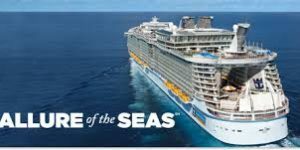 I am a thrifty person so most of the time leading up to the cruise was not excitement but worry about the monetary portion of it. As the time grew closer I began to hear all sorts of stories about how great cruises were but I must say no one ever told me the dos and don’ts. Although some might think that bit of information is very minute but I contend after experiencing our first cruise with Anne I realized how important the little things really are. I think most if not all people have gone on a trip away from home and gotten to their destination and realized that they were missing some items or were just ill prepared for the trip, or better yet have to look in the phonebook or ask locals where great restaurants are to enjoy a good meal. Alleviating this from your mind is one of the most comforting things as a traveler. This is what makes Anne so great. She helps to alleviate all the little things from your mind so you can stay focused on your vacation. One little thing that Anne told me to bring on our cruise to the Bahamas was linen shirts and clothes. Before the trip I was saying that I would just wear my regular jean and cargo shorts but Anne told me that the heat in the Bahamas was different than what I was used to and because she had been so trusted during every portion of this process I bought linen. I must tell you what a life saver that was. I can only begin to imagine what life would have been like in those overly hot clothes trying to enjoy myself. I am sure I would not have liked it at all and because Anne is great at what she does, I thoroughly enjoyed myself and might I add I wasn’t as hot as I should have been. A common quote is “fail to plan, plan to fail.” Anne planned so that our first cruise did not fail. Let a professional guide you through the process. I think of Anne as the James Brown of vacations, because she is the hardest working lady in travel and the proof of that is our vacation happening without a hitch and the amount of service she gave us before, during and after the trip. She made sure that we didn’t have to worry about anything going into this trip and that we were prepared for every aspect of the cruise. I remember saying on the cruise many times “Thank you Anne” because we couldn’t have done it without you. I have used Anne Smith as a travel agent for decades. Yes, I said “Decades!” That could only happen if I WAS CONTINUALLY GETTING EXCEPTIONAL SERVICE, QUICK RESPONSES, HONESTY & INTEGRITY plus so much more. I cannot tell the countless times her services went over the top to make sure that I stayed on top in all my travel plans. Her detailed homework is impeccable! I have also seen her in action over the years facilitating various first class event planning functions. If I had to staple a motto for her, then it would sound like this… “If it isn’t done right then don’t do it! She is efficient, effective, and energetic in all her efforts whether large or small. Keep up the great work! Anne Smith IS the travel and events diva extraordinaire! She can get you anywhere in the world you want to go and help you have the time of your life once get there. I worked alongside her to plan a garden wedding reception for 60 guests, and watched magic happen. We also collaborated on my two son’s graduation parties as well as a road trip to Niagara Falls for four people. I recently relocated, but I booked her to plan my daughter’s sweet 16 in our home state. 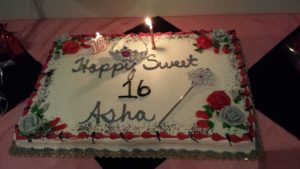 It was a well-planned event and fun for Asha and her 100 guests! I had the pleasure of working with Anne Smith to plan our graduation cruise in 2012. This was our first cruising experience and Kevin Lindsay and I didn’t know what to expect! Anne walked us through everything from getting our passports to sending us a packing guide with tips! The day that we left she kept in touch with us, sending us airport updates, and she personally worked with the hotel to make sure everything was to our liking! This was the best cruising experience and we are actually planning another cruise with our children right now with her. 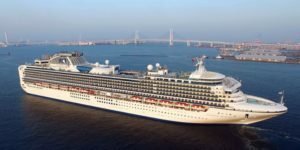 Well, my husband and I thought we were attending this cruise alone and Anne knew this was the first cruise that we had been on and told us that she was able to get some of her other clients to book the cruise as well. She asked if we would be open to meeting with these “experienced cruisers” so that they could show us the ropes. We flew into Ft. Lauderdale a day early and stayed at the Embassy Suites there. Anne called and told me that the “experienced cruisers” were staying at the same hotel as us and they would like to meet us. Kevin and I went to their room, and an older lady answered the door and invited us in, she said that her partner was in the bathroom and would be out in a minute. Next thing we knew, my grandmother and parents came out screaming “Surprise!” We went on our first cruise with my parents and my grandmother and her friends, and we had a WONDERFUL time!!! I may be a little bias but Anne Smith at Travel & Events Extraordinaire is one of the best travel agents around. Her main goal is make sure that you have the best trip with little to no hassle. Yes, it’s easy to go online and book your travel but you don’t get the personalization that Anne provides. I went on a Carnival cruise in June 2012 and asked her to handle the details of my trip. I told her how much my budget was and she came back with a whole itinerary within my budget. She did not show me anything that was too far out of my range which is nice because I didn’t want to fall in love with something I couldn’t afford. My first cruise was a family Disney cruise that we took when I was 13 years old. What a great first cruising experience I had! I’ve been on 2 cruises since the and none of them have even stepped close to topping my Disney experience. The service is superb and there’s always fun stuff to do. The dining areas weren’t overcrowded which was great for me because I love to eat and don’t like having to wait in long lines for food. I’m still waiting on a cruise to top that one but I doubt that will ever happen. Moral of the story: Ditch the online travel booking and call Anne Smith! You won’t regret it one bit. Anne Smith is one of the most thorough travel agents I have ever met! There is no detail left undone and everything is meticulously planned and executed! I have planned many cruises with her for my family and all have been very memorable. Four stand out the most: 1) planning a surprise cruise for my husband on Princess Cruises’ Ruby Princess, 2) planning a surprise graduation cruise with my daughter and her husband on Allure of the Seas, Royal Caribbean, 3) Thanksgiving cruise for our church to the Caribbean on the Carnival Valor, and 4) planning one of the best vacations ever—our Alaskan cruise on Celebrity Cruises Millennium! That is the one I will talk about because of its uniqueness. 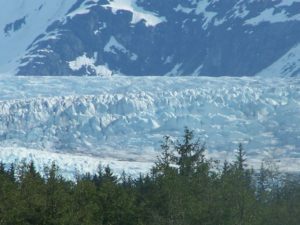 Anne alerted our family to a great deal sailing to Alaska on Celebrity Cruise Lines. We got together a small group of people to go and, instead of just flying there and back, we had four modes of transportation­­––plane, train, boat & bus! The cruise sailed out of Vancouver, so Anne arranged for us to fly into Seattle, WA, take a very nice motorcoach bus to Vancouver (a few hours away). The ride was relaxing and the scenery was great! 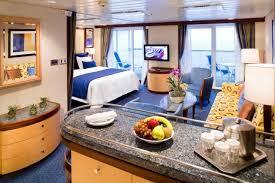 Then we stayed overnight at Marriott Residence Inn and next morning boarded the ship. I will never forget the beautiful scenery and seeing wildlife in its natural setting. From the shore excursions she arranged, we went whale watching (and saw whales! ), eagles, a huge pod of sea lions and other animals. The waterfalls were amazing, too! The weather was gorgeous in May (70 degrees), and we didn’t need all the heavy clothes we brought until we went to see the glaciers, where it was freezing! But it was worth it, because they were beautiful! 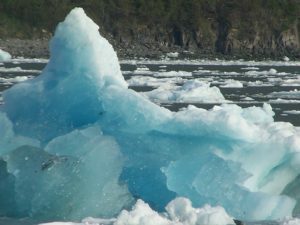 The ice was a turquoise blue and looked amazing! This was one cruise my family will never forget, and Anne made it all possible. Oh, and the food was fabulous! Once the cruise was over, we were going back to Seattle because Anne had arranged for us to stay there for two days. So, we took a train from Seward to Anchorage (several hours). Since we travelled through mountains, the scenery again was breathtaking! We saw bears, moose and mountain goats also. Once in Anchorage, we flew to Seattle and stayed at the Marriott Residence Inn again and enjoyed the sights and sounds of the city. We still talk about that trip to this day and can’t wait to explore another side of Alaska in the future. Anne makes sure that you have all relevant information before you go, including packing lists, documents lists, tidbits like bringing a power strip because of the limited outlets in the cabins and so on. If you’re celebrating a special occasion, she ensures that the cruise line knows so they can give you a special treat! I would not hesitate to recommend her for any of your travel or event coordination needs. Yes, you could go to Expedia or other travel sites for cheaper prices, but if it hits the fan, who you gonna call? Me, I’m calling Anne at TEE! Anne Smith is a proficient, professional and premier travel agent and event planner. My experience with Anne goes back 17 years when she coordinated arrangements for my parents’ 50 surprise wedding anniversary celebration. She coordinated 35 family members from around the US to converge on Pittsburgh for the surprise of a lifetime. She located the perfect venue, the caterer, photographer, DJ, cake decorator that embossed my parents’ original wedding photo, she found the hotel and coordinate everyone’s travel plans to ensure they arrived ahead of time of the event. She assisted my sister with details for the program and she coordinated with my brother to host a “family Jeopardy” game during the event and she designed a theme and decorated the facility. She handled every aspect of the financial budget for the event as well as making sure vendors were timely paid. But the biggest surprise was that she arranged for the Mayor of our local city to be present for the event and she presented and read my parents a proclamation from our home town. She also arranged for the Mayor of Pittsburgh to send in a proclamation that was also read by our city Mayor. She coordinated the unveiling of the surprise to our parents with my other sister who was responsible for getting them to the venue after everyone had arrived and hid. There was not a dry eye in the room when my parents walked in and we jumped out screaming “SURPRISE!” It doubled them over and brought them to tears seeing the four generations brought together in love. As this was a long weekend, she also coordinated a day at our local amusement park as well as a family barbecue and game night. It was a weekend that will never be forgotten in our family’s history. Fast forward just a few years later to 2000 and again she was requested to plan my father’s memorial service. In a matter of a week, she was able to locate and secure a lovely, non-denominational facility with both indoor and outdoor amenities that pleased the entire family and guests attending the service. She negotiated a reduced price due to the time of year, and arranged for a videographer to make a compendium of family photos that won the hearts of all in attendance. She coordinated the feeding in such a way that it took place seamlessly. Anne also made travel arrangements for those needing such services. Moving forward another 9 years, she was again requested in 2009, when my family needed services arranged for our mother’s passing. Again, a non-denominational facility was obtained, in a bucolic setting that was soothing to all who attended. A reduced price was again negotiated. Anne’s tenacity in attending to every detail has caused her to be nicknamed “the bulldog” because she doesn’t let go until everyone is satisfied. Our friends and family still rave about both memorial service arrangements until this day. In 2010, I was privileged to accompany Anne on a tour of “The Grandeur of the Seas” in Baltimore, MD to get an idea of how she books such cruises. 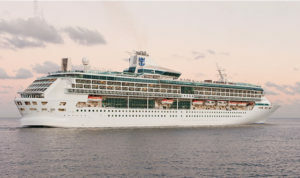 Her knowledge of the cabin arrangements and discounts, the type of individuals who would be attracted to cruises on this ship, and the guest amenities was astounding. She met with a travel colleague and discussed ways clients could make the most of their cruise dollars on the ship. I was totally impressed. Because of her extensive travels to the Caribbean, South Africa, and points in between, she is completely familiar with all the nuances of travel. She has handled some very difficult situations that have arisen during client’s travels, and has walked them through every step needed to resolve the matter to the satisfaction of all involved. I do not believe every travel agent would pursue such emergencies with the intensity, expertise and compassion Anne displays. She has a passion for travel and shares that passion with every client she interacts with. With her intimate knowledge of the travel and event planning industry, Anne is in a unique position to provide an extraordinary experience to whoever retains her services.